Home / Articles / Is Richie James a Late Round Steal? 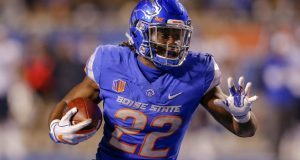 Is Richie James a Late Round Steal? 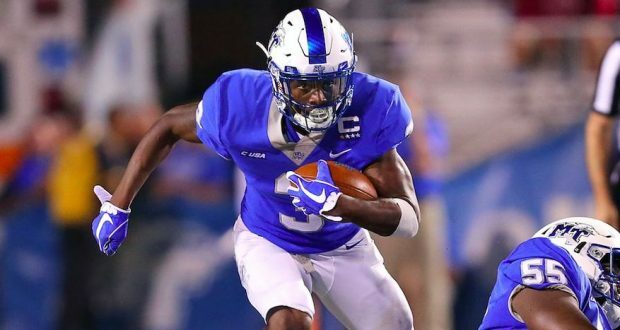 One player no one is talking about in the 2018 rookie class is Richie James, but maybe we should be. James is a 22-year-old redshirt junior wide receiver from Middle Tennessee State University. At 5’10”, 183 lbs, James figures to best suited as a slot receiver at the next level. Before we get into why people are sleeping on him, let’s take a look at James’ college production and athletic profile. James’ combine performance really highlighted his athleticism, as he was one of my ‘winners’ of the combine. He proved he’s got the speed, explosiveness, and agility to compete at the next level. In addition to these great numbers, James also had the college production to match, until his junior season when injuries took their toll on the MTSU product. James’ 2016 was so prolific that only three players finished with more receiving yards. His NFL draft stock was rising until injuries hampered James during his junior season. Now, he could be a fantastic value in the third or fourth round of your rookie draft. Richie James only played in five games during his junior season due to injury. He was originally injured during MTSU’s third game of the season against Minnesota, suffering a high ankle sprain. He missed four weeks while recovering from this ankle injury. Then, just two weeks after returning to the field, James suffered a broken collarbone in late October, which effectively ended his season. Fortunately, he did not require surgery to stabilize the fracture. Long-term, I have no concerns about either of these two injuries. One thing working in James’ favor is that he didn’t require surgery for either of these injuries. This indicates that his collarbone was not a complicated break. Now several months removed from the injury, there’s no doubt the bone is healed. His high ankle sprain appeared to be on the lower end of the spectrum given that it only kept him out four weeks. These injuries can be nasty, keeping players out for eight weeks at times and even longer if they require surgery to repair the torn ligaments. James brings a lot to the table in terms of his skill set. He’s very athletic and shows an ability to make very smooth adjustments when the ball is in the air. He is also very tough to bring down with the ball in his hands, as he is a true playmaker and shifty in the open field. He’s got the ability to make guys miss using his quickness and speed. One negative about James is his lack of size and strength (just 6 reps on the bench press). He may have trouble at the next level beating press coverage, but it’s possible his quickness and explosiveness can negate this weakness. Another area of improvement for James is in his route running ability. 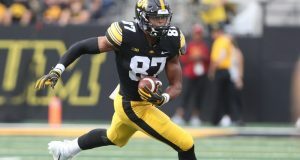 He will definitely need to work on running smoother routes and expanding his route tree if he plans to succeed at the NFL level. In general, Richie James is a prospect flying under the radar when it comes to the 2018 class. He’s got an extremely productive collegiate profile to match his athleticism, making him a high upside selection late in your rookie drafts. James would have likely been more in the spotlight if he didn’t miss the majority of his junior year due to injury, but these injuries shouldn’t be a concern moving forward.